The first step in the LASIK procedure is creating a corneal flap. This is usually performed with a surgical tool called a microkeratome or a laser called IntraLase. A ring is placed on the surface of the cornea and is held in place with suction. The microkeratome or IntraLase then creates a flap leaving a small hinge to keep the flap partially attached to the rest of the cornea. Research suggests the incidence of LASIK complications with flaps is about 0.2 percent (0.002) of all LASIK surgeries (Study of Corneal flap complications from Codet Aris Vision Institute). In most cases, LASIK complications with flaps do not permanently decrease visual acuity. When a flap complication occurs, the surgeon will typically halt the LASIK procedure and re-position the flap. 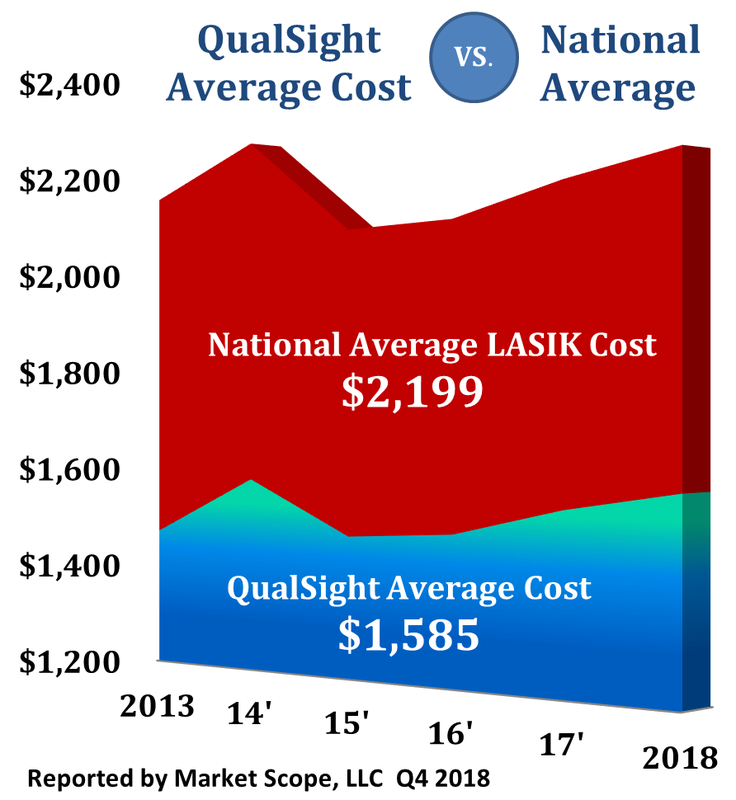 LASIK surgery can then be re-scheduled a few months later after the flap has healed and some surgeons can even continue with surgery after a LASIK complication the same day when IntraLase laser is used. Small wrinkles called striae (pronounced stri’-e) can occur in the corneal flap after LASIK surgery. Usually they do not interfere with a LASIK patient’s vision and not additional treatment is needed. However, sometimes the striae are serious enough to decrease visual acuity. In such instances, the surgeon might lift the flap, irrigate beneath it and lay it back down in the proper position. This quick procedure is usually enough the correct the LASIK complication. What Causes Flap Irregularities with LASIK Complications? There are a number of causes of flap irregularities and striae. They appear to be more common when LASIK is performed on eyes that are very nearsighted. Sometimes rubbing the eyelids before the flap has had a chance to bond can cause subtle wrinkles. Patients can reduce this risk by avoiding rubbing their eyes for several weeks after surgery. LASIK complications can also occur if suction is lost while creating the flap.